In earlier versions, although FantaMorph allows loading unlimited source images in one project, this is not real "unlimited". The actual number of images you can load is determined by your system memory. 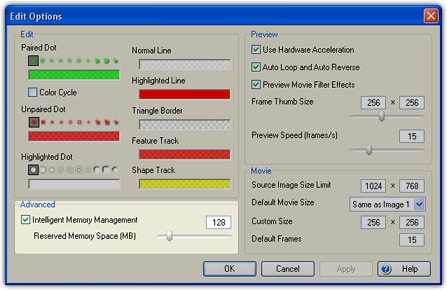 More physical memory available, more images can be loaded. Once the physical memory is used up and the program has to use the page file on hard disks as virtual memory, the performance will be awful or even unavailable. Beginning with version 4.0, the new Intelligent Memory Management technique has been implemented. Please note that it's only available in FantaMorph Deluxe. Now you can really load unlimited images in one project. 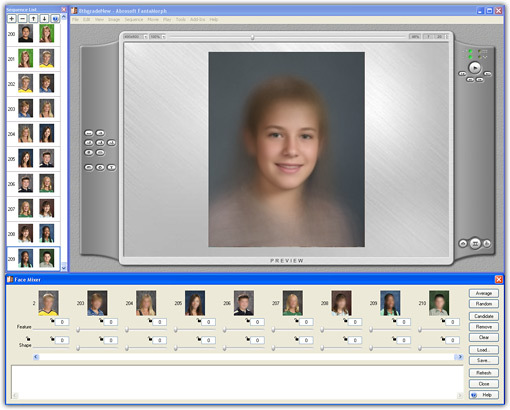 As you see the example below, we easily load more than 200 images in one project to create a face composite with Face Mixer.